Chi Kung ( pronounced chee gung ) means energy work/practice. At Shaolin Kung Fu Studios we practice the 18 Lohan Qi Gong. It is an ancient Chinese health and wellness modality; a system of physical exercise and breath use and control. It is the science of chi energy in its ultimate form where the practitioner develops the ability to build, store and move chi energy, at will, within and even outside the body. It is ‘moving meditation’ and can be described as both exercise and meditation. However, it is much more than that. Thousands of years old, Chi Kung has laid the foundation for most of the martial arts, including Tai Chi. 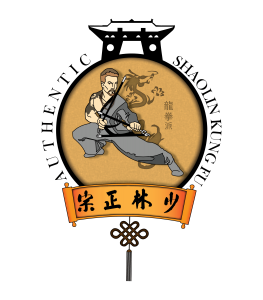 Virtually all systems of Kung Fu have their external and internal or chi kung components. The energy work, guarded and forbidden to be taught to foreigners, as was Kung Fu, is considered the bedrock of Kung Fu knowledge. Chi Kung is where the power, stamina and health of the wise practitioner resides. Kung Fu systems have their chi kung side. Tai Chi Chuan – fa has Tai Chi as its Chi Kung program. The faster combat movements, strikes and blocks comprise the external part of this gentler art. Chi Kung can be practiced by everyone – young, old, healthy or challenged. It can be experienced standing, moving, sitting and lying down. One cannot overstate the healing power of Chi Kung. Each person embarks on a subjective journey that yields marvelous physical, emotional, mental and spiritual results. Come and join us in the practice of this sacred, ancient art. Build, store and move chi energy! Learn to heal yourself and explore the possibilities to help others with its power.